As I've mentioned before, my backyard is basically one big slab of concrete. Fortunately, this story on Philly.com gives me some hope. Local folks are going all out, turning their backyards into extensions of their living space. They're procuring outdoor rugs, lamps and even love seats. 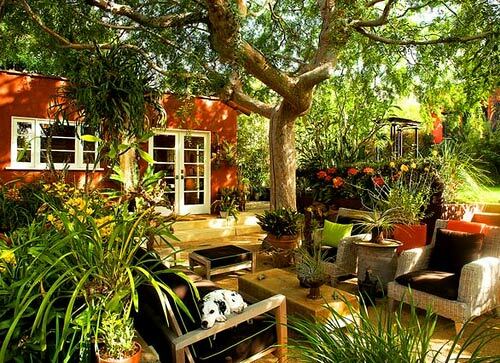 Indoor living has now infiltrated the outdoors, and I'm all for it. There's a clear environmental benefit to this trend. More time outside means less time television time and a break for the air conditioner, saving energy during these high-impact summer months. A lot of people are even using solar-powered lamps in their yards—another energy bonus.